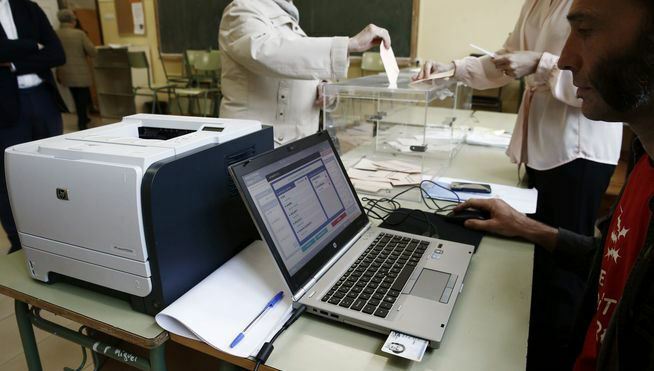 Although Spain has been debating the implementation of e-voting for years, and has held numerous test runs (the first one in 1995, and the latest one in 2011 in the cities of Castellón, Ceuta, Huesca, and Mérida), no autonomous community has yet been able to set forth an automated election. Although there seems to be a negative balance for the European nation in terms of electoral technology, last May 24, during its municipal elections, it took a step that brought it closer to a more modern voting: the Electronically Managed Polling Stations (MAE), which were used in 3,200 stations in 22 municipalities. MAEs do not intervene in the voting process itself (vote collection, tallying, and result aggregation), but enable streamlining voter identity verification and the transmission of results to the data center. The dynamics involved having polling stations deploy a laptop computer, a GPRS modem, an electronic ID card reader, a printer, and an SD card with the electoral roll of each constituency. Thus, the identity of voters was verified automatically by processing the ID in technological devices and not on a printed list. Besides, the confirmation of the polling station’s formation, advances in turnout and tallying were transmitted to the Information Collection Center through these technological tools. The process was deemed positive in spite of some problems arising in some of the MAE. These were mainly due to damaged ID cards, which prevented the reader from verifying the cardholder’s identity, therefore having to turn to a manual method. After the event, MAEs are seen as the first step toward transitioning from manual voting to electronic voting. However, they also spark the debate over the viability of stepping up the pace in the adoption of electoral technology, so that Spain can get up to level with its European peers (i.e., Switzerland) or even match the path so speedily and successfully traversed by Latin American countries (i.e., Venezuela and Brazil) in terms of electoral automation. 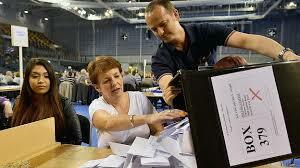 The UK carried out general elections last May 7th. Beyond the easy victory of the Conservative Party, which smashed the surveys indicating a technical tie, the event offered the British important bases to mull over electoral technology. In principle, one of the great novelties of this election was the use of an online voter registry, used as an alternative to manual registration, which was also available. According to the Electoral Commission, citizens were able to access the system and fill out their data to enable themsleves as voters in just five minutes, instead of filling out a form and handing it over at the electoral body offices. Upon revision of the initiative, it becomes evident that the registry was a positive step toward automating the different stages of the election, but it also left lessons on the need to implement controls providing full functional guarantees. Looking at the acceptance rate of the new electronic mechanism, all reports mention an overwhelming preference for online registration versus manual registration: only on the last day, about half a million people visited the portal to formalize their registration, preferring it over the use of paper for the procedure. However, on election day there were regions in the UK where dozens of voters were unable to vote, as the system did not accept their online procedure as valid. In Hackney, east of London, at least 100 people could not vote, although they had registered a week before the deadline. Authorities sustain that this was an isolated problem, but the fact is that the system presented problems that must be solved in order to strengthen and maintain this automated scheme, which promoted registry and participation. In spite of this, the UK seems to be aware that electoral technology plays a transcendental role when it comes to offering better electoral guarantees. Various political and governmental spokespeople showed their support for the implementation of an electronic voting model, which allows for the correction of the flaws of manual voting, such as the ones that took place during this election. At the end of the day, the WebRoots Democracy organization reported that after reviewing electoral data in 100 constituencies, it was detected that more than 4,000 ballots were rejected because voters had accidentally marked more than one candidate. Although this number of votes could be dismissed as it would not have any incidence on a national election, the truth is that in legislative or regional elections it could be decisive. Even in this case, an average of 42 ballots in the 100 constituencies were annulled due to confusion from the voters, the same number of votes by which conservative Amanda Solloway won in North Derby. These problems, plus the need to modernize the electoral system, have caused the UK to focus its attention on technology. John Bercow, Speaker of the House of Commons, has requested the promotion of online voting for the 2020 elections. The road will require multiple analyses and tests, but the British have five years to eradicate their fears and doubts, and allow electoral automation to facilitate voting by avoiding the mistakes made by voters and shielding each stage of the process. Almost one month after the Mandatory Simultaneous Open Primaries (PASO) in the Argentine province of Salta, doubts over the electoral system are swarming around the electronic ballot box the province has been using for years. Moreover, in addition to the failures denounced during the April 12th internal elections—as well as those registered in past elections—the review performed after the electoral process has revealed new irregularities. A programmer named Javier Smaldone was able to hack into an “electronic ballot chip and modify its contents without leaving any trace.” The storage means was part of a test ballot box, which was used by the Electoral Court of Salta to ascertain the technical flaw. The electoral body, supported by technology provider MSA (Magic Software Argentina), argued that they use two types of chip during the process: one for test ballots, and one for Election Day. Therefore, Smaldone’s actions would have no impact, as this was a ballot box where the system was tested, as opposed to one for use during the primaries. This statement raised strong concerns, as in reality transparency protocols in the implementation of electoral technology demand the use of the same applications and devices deployed for the elections for all the tests, as otherwise it would be impossible to show the electorate and the political stakeholers how the automated voting model works and what its guarantees are. An audit made on the process was not helpful to clear up any of the questions that arose, such as: why are different chips used for the same electoral process? Is it possible to prove that the test ballot boxes’ technical failures will not be replicated in the definitive ballots? How are we to trust that people in Salta voted using the correct chips? 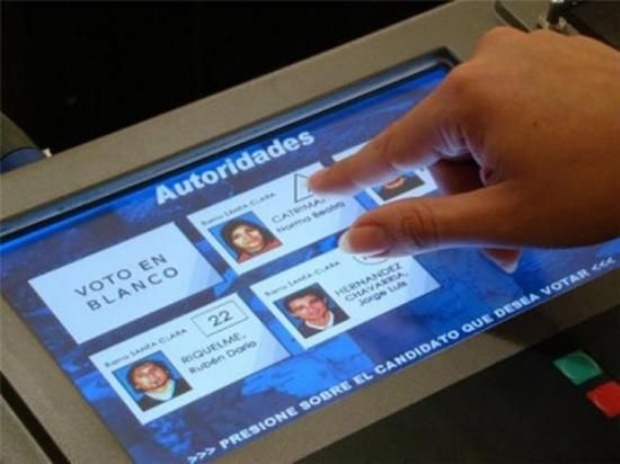 In view of the distrust that arose, the Romero + Olmedo political front presented a constitutional complaint against the electronic ballot box at the Salta Court of Justice, as this technology will be used once again on May 17 for the elections for governor, vice governor, intendent, deputies, and councilmen. Moreover, concerns go beyond this province, as the same voting model will be used at the July 5 General Elections in Buenos Aires, the country’s capital. Facing this reality, facts are against Salta’s electronic ballot box. The device has presented faults throughout several electoral events, denying the electorate the possibility of having equipment that shield the process and the region’s political stability. Now, practices that could be deemed fraudulent are affecting not only the election, but institutional transparency as well.